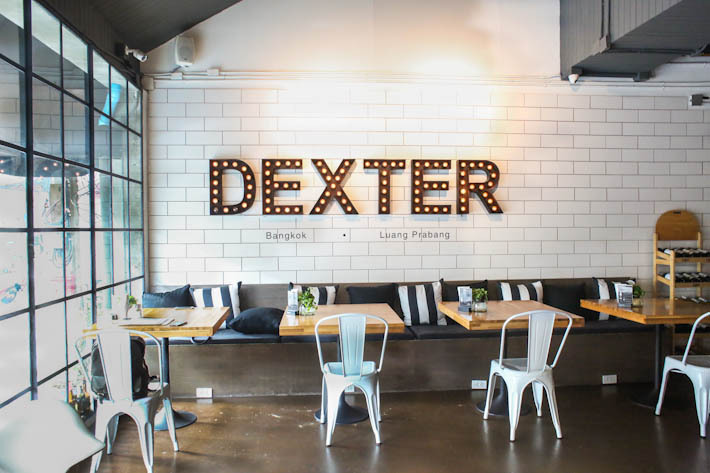 A cafe by day and bar by night, Dexter Cafe & Bar along Sathon road is an aesthetically pleasing dining establishment in Bangkok. Their innovative coffee menu, calm ambiance and availability of free WIFI are great for those who are looking for a place to do some work. We were pleasantly surprised at the wide range of drinks, brunch items and other Western mains which come in beautiful presentations that make perfect #foodporn pictures on social media platforms. Swing by the place with your friends for a casual meet up, a birthday celebration or a chill drinking session at night. 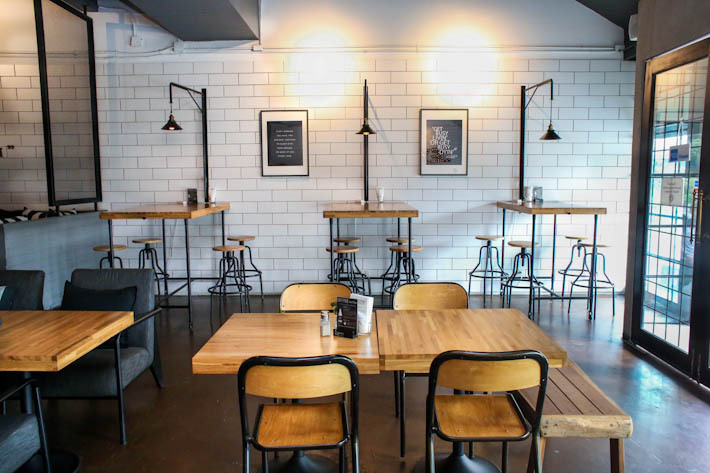 Running a rustic theme with Scandinavian touches, Dexter Cafe & Bar boasts only three primary colours—black, white and brown. Every spot at the cafe is perfect for photo taking but keep a lookout for the vintage marquee sign which makes the best OOTD backdrop. Although we dropped by in the day, we could imagine how chill it is to relax by the bar at night with a couple of drought beers, cocktails and wines. Of course, they also have a curated list of spirits and whiskeys for the serious drinkers as well. 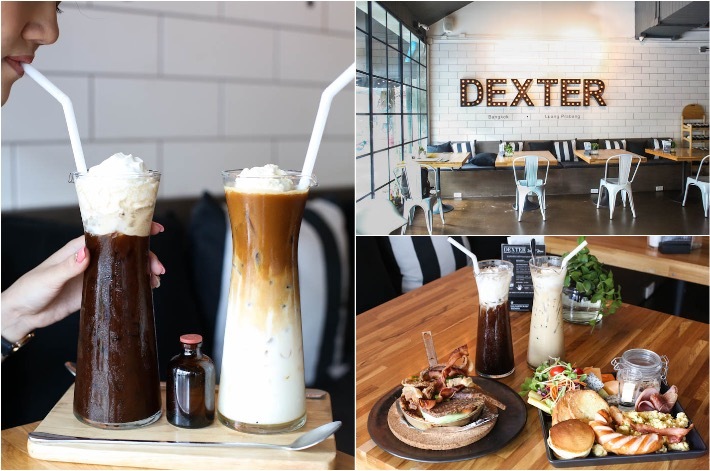 When you are at Dexter Cafe & Bar, you cannot skip their coffee beverages inspired by international flavours around the world. 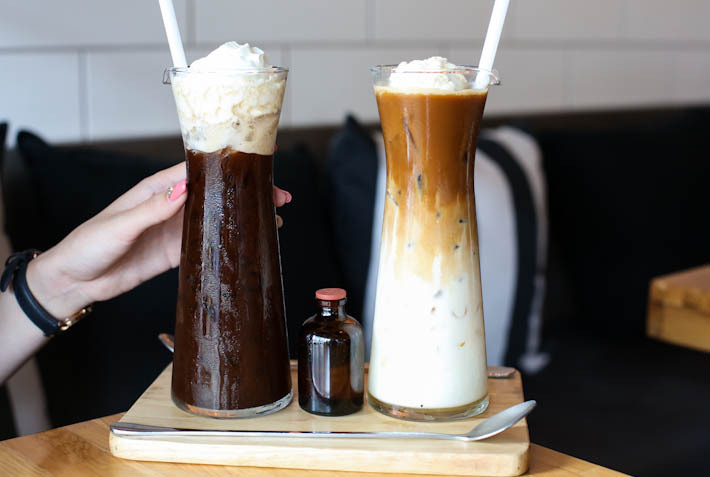 If you are up for something more adventurous, try their Brazilian Iced Coffee (THB130) which is an interesting blend of espresso double shots, cacao powder and Coca-Cola. 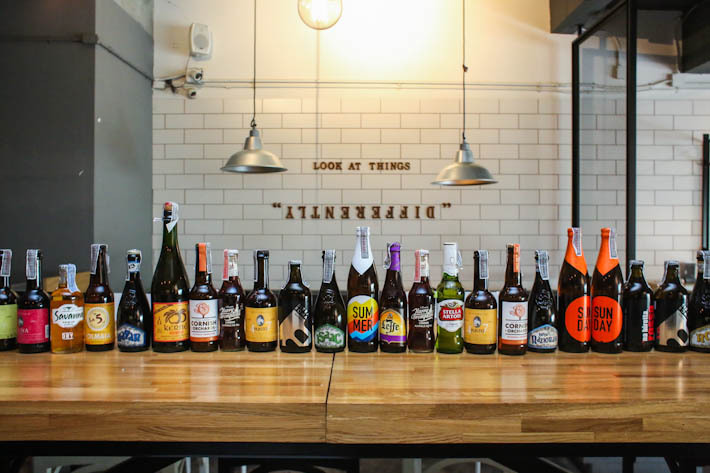 Yes, this is a fizzy caffeine drink! For a safer choice, we recommend the Iced Australian which is more like your usual iced coffee with espresso double shots, cold milk, vanilla syrup and vanilla ice cream on top. The Æggekage (THB400) came with Danish-style omelette and it is a wholesome dish with plenty of cucumber, tomato, savoury bacon and crispy pork belly. While we were very impressed with the presentation of this dish, the same could not be said for its taste. We found the pork belly to be slightly overdone and too tough for our liking. That being said, we still enjoyed the light and fluffy egg omelette which was well seasoned. 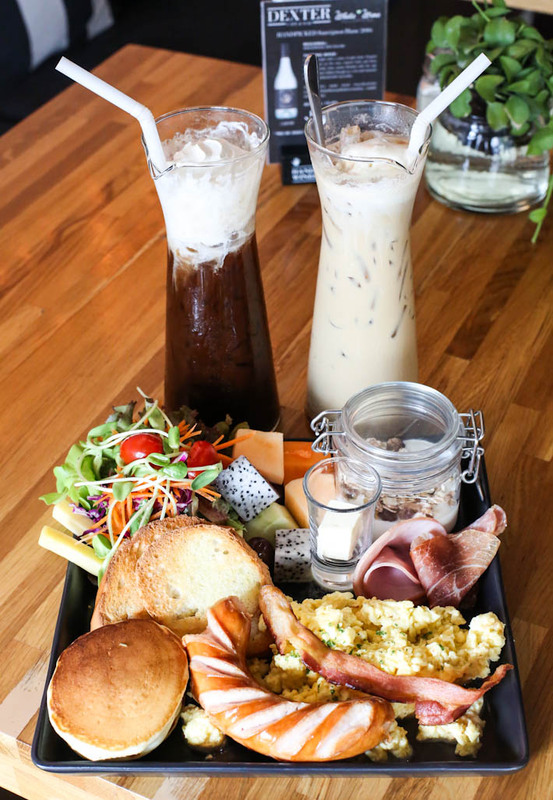 For the ultimate breakfast platter, get their Brunch Plate (THB500) which has all the breakfast items you can ever dream of. 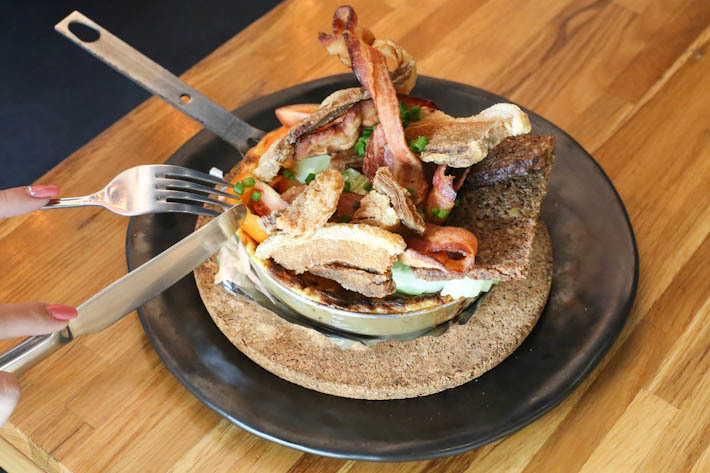 This enormous plate features bacon, sausage, ham, parma ham, salami, cheese, fruits, bread, homemade pancakes, yogurt with muesli and eggs of your choice (scrambled/fried/omelette).